We’ve delivered the Salesforce Nonprofit Success Pack (NPSP) to 20+ organisations across Australia. These organisations were at varying stages of their journey with Salesforce. Our team brings 10+ years of experience providing cloud based technology solutions to the Asia Pacific region. We’d be delighted to talk with you about your current challenges to see how we can best help you achieve your goals. 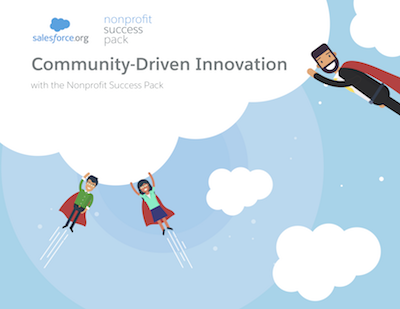 “From fundraising to operations to programs and more, the Nonprofit Success Pack turns the world’s #1 CRM into the #1 CRM for nonprofits, so you can focus on impact. The Nonprofit Success Pack starts with a flexible, open data architecture and adds pre-built constituent and donor management components. Save AU$25,200 in the first year alone! Sometimes, when something is given away for free, people struggle to see the value of what was given. The Salesforce Foundation provides 10 end user licences to organisations that meet their NFP criteria. Those licences equate to AU$25,200 annually. Just like their corporate clients, NFP clients need assistance to implement the world’s #1 CRM.